Tahitian Noni TrūAge Pure is a concentrated version of noni iridoids, perfect for blending into your favorite smoothies or other drinks. 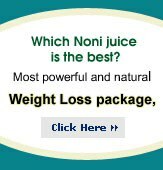 Just one tablespoon adds an 18 mg shot of pure noni fruit and noni leaf iridoids to your food. Use 1-2 ounces to mix with, and supercharge your favorite drink or experience the bioactivity by placing TruAge Pure™ on your tongue for 30 seconds. The statements mentioned about this product have not been verified by the Food and Drug Administration (FDA). This product is not intended to diagnose, treat, cure, or prevent any disease. Keep the product away from the reach of children. Store in a cool, dry place. If you are pregnant or nursing, or on medications, please consult a health care professional before using this product.